Asuka didn't make an appearance on this week's SmackDown, but WWE has announced how her challenger for WrestleMania will be determined. WWE uploaded a post-show video where Kayla Braxton interviewed Mandy Rose and Sonya Deville. 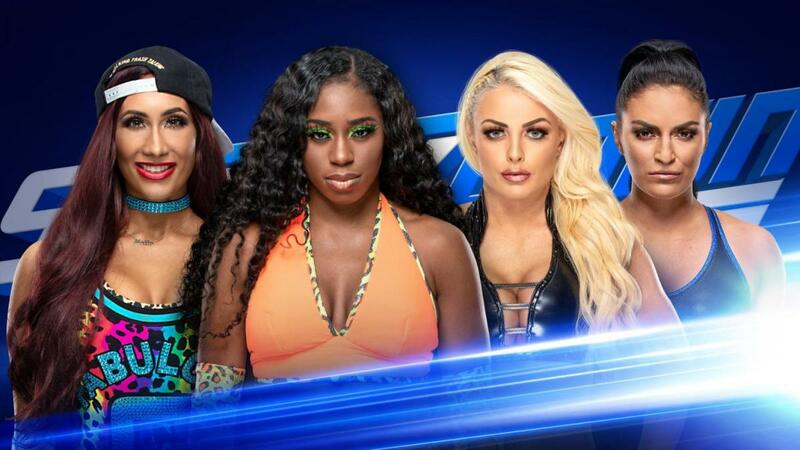 Rose vs. Deville vs. Naomi vs. Carmella in a fatal four-way match was announced for next week's SmackDown, with the winner challenging for Asuka's SmackDown Women's Championship at WrestleMania 35. Asuka retained her title by defeating Rose at Fastlane earlier this month. The finish of the match was Asuka hitting a kick and pinning Rose after Rose slipped on a kendo stick that Deville put on the ring apron. Asuka then defeated Deville on last week's SmackDown. This time, the finish was Rose trying to interfere but causing Deville to slip. Asuka has been SmackDown Women's Champion since defeating Becky Lynch and Charlotte Flair in a tables, ladders, and chairs match at December's TLC pay-per-view. Next week's SmackDown is taking place at the Mohegan Sun Arena in Uncasville, Connecticut.